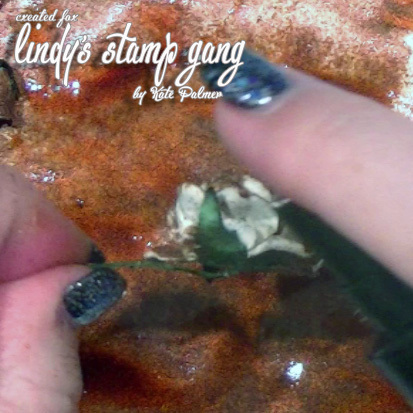 Hi again – I’m back with another sparkly tutorial for Lindy’s Stamp Gang and today I’m going to show you how to grunge up some flowers! 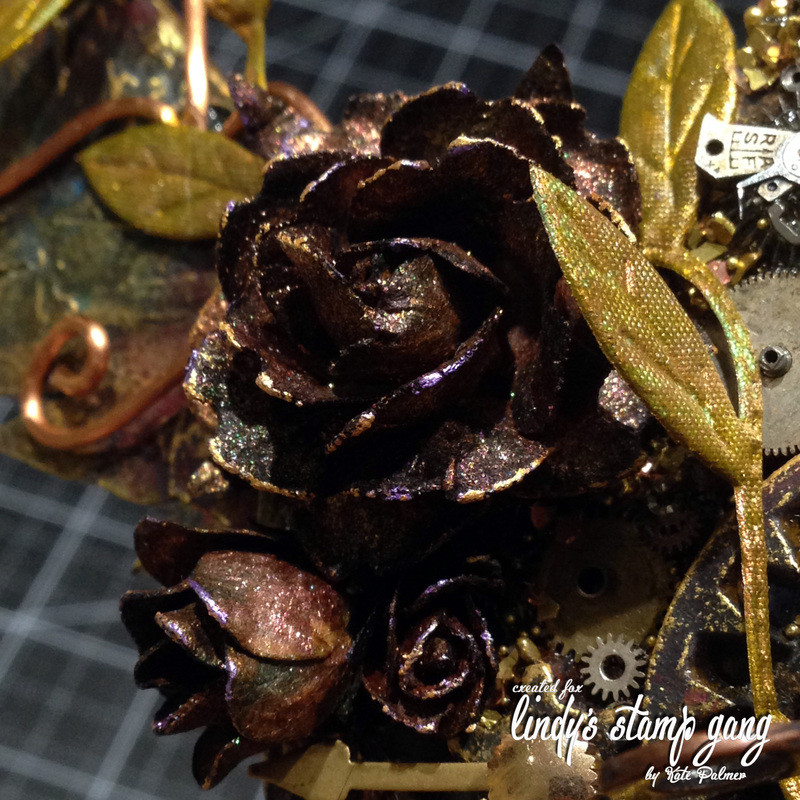 I was recently working on a project where I was creating a Steampunk Dress-form, it was almost finished but still lacking the WOW factor I was after, so I decided to create some gorgeous sparkly grungy flowers to compliment my project. 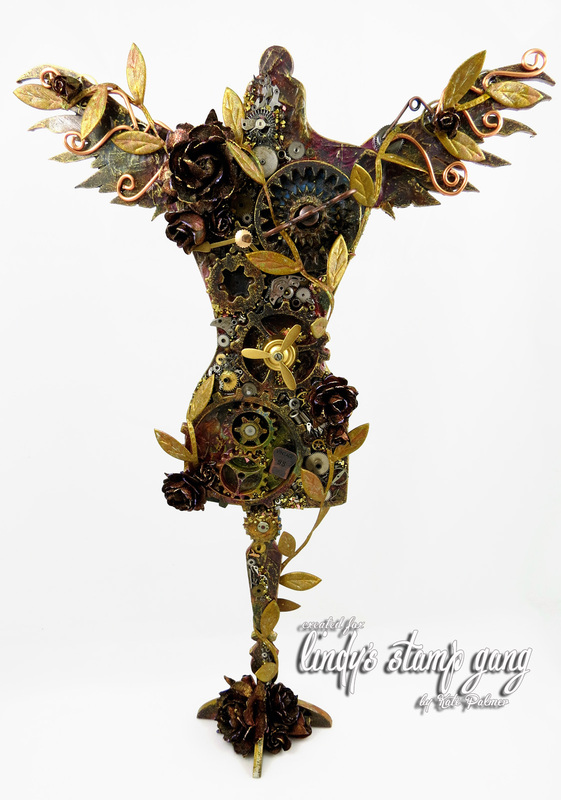 There were a few restricting factors: it needed to match items that were both copper and brass, it had to be dark so as not to be the main focus and there needed to be an element, just a hint of colour, so it matched my piece. 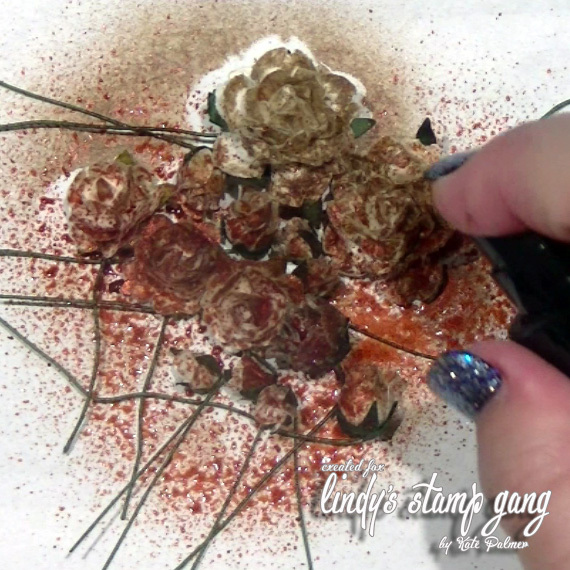 This is the process I used to create my darkly scrumptious Grunge Flowers. 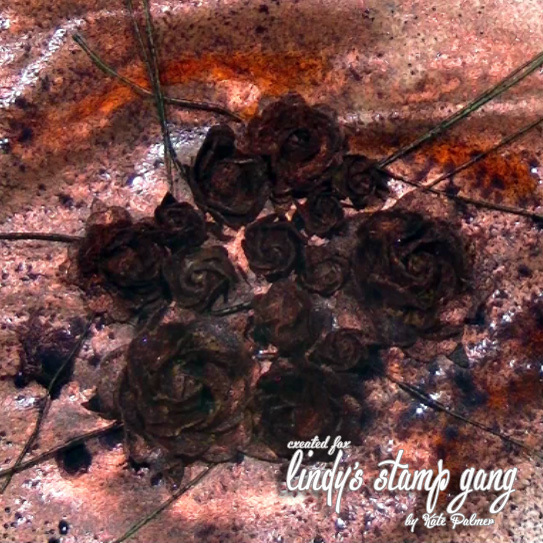 Begin by grouping an assortment of flowers together – plain or coloured it doesn’t matter. Spray all flowers with a light coat of Cattail Copper Brown. Apply a much heavier coat of Cocoa Bean Copper. Pick up each flower and spray the underside as well as the top – ensure a heavy and complete coverage. Lay flat on scrap paper and add a light spritz of Midnight Rendezvous Raven – I sprayed from 2 hand lengths away for a light coat. 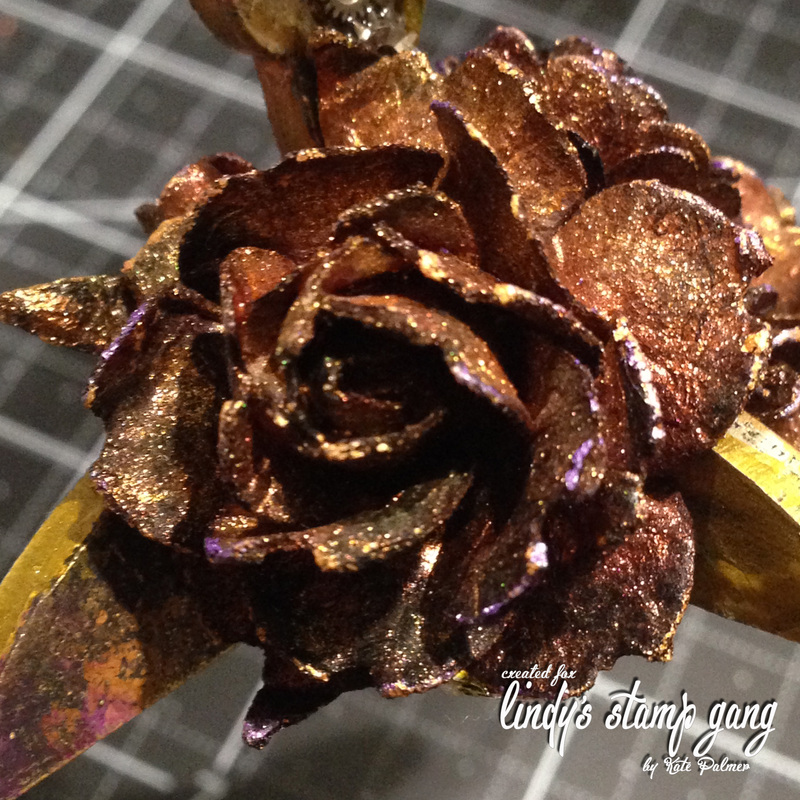 While still wet, get right up close with a Glitz Spritz of your choice – I used Medieval Gold – and spray petals so you get concentrated spots of shimmer – the closer you spray to the flower the better this will be. The last Starburst colour to add is a misting of Time Travel Teal – this adds a hint of colour and while you won’t see a lot of this, is is important. 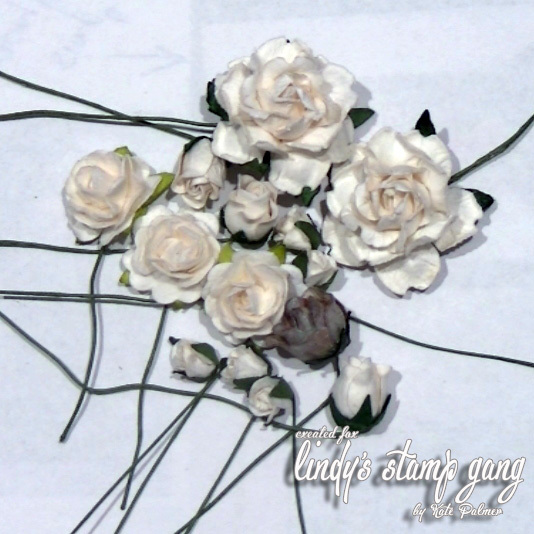 Leave your flowers to either dry overnight or dry with a heat gun – you may need to glue some of the flowers back together when done as the water and heat can make the glue release. 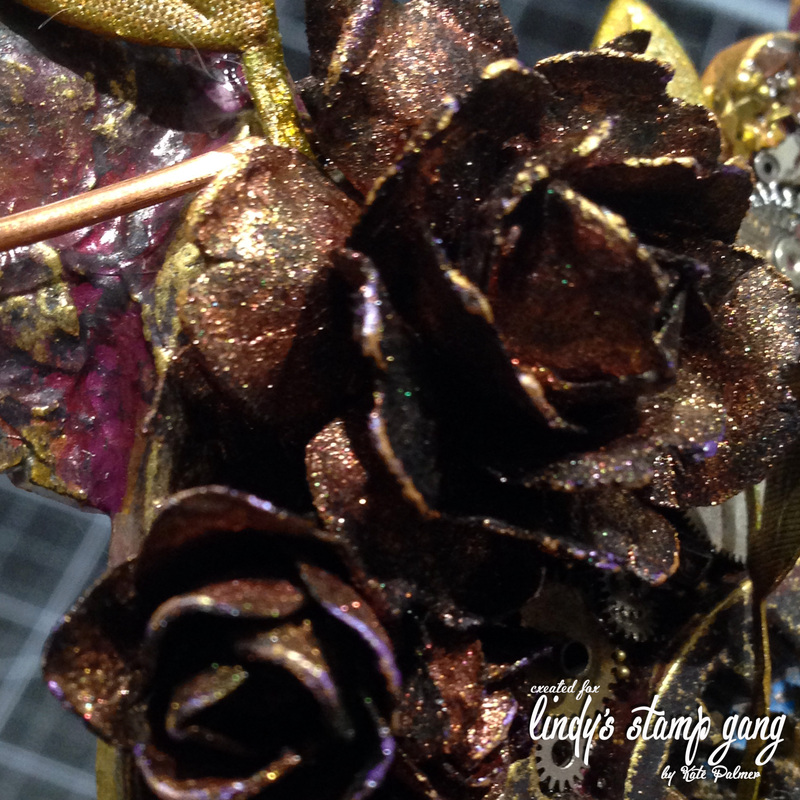 Now I realise at this point they look VERY dark, trust me, as the water evaporates and the flowers dry the shimmer begins to pop! 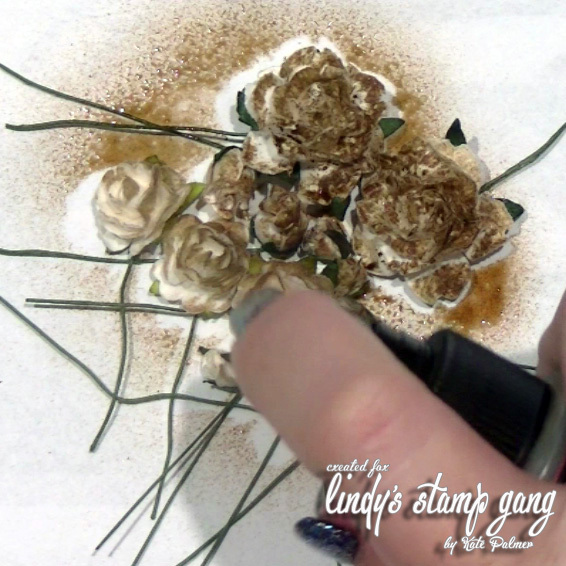 If you don’t want to waste any of this yummy spray, you can also spray your flowers over a fresh journal page or piece of white card – once you finish the flowers you will also have a completed page or card background ready to dry and use on another project. 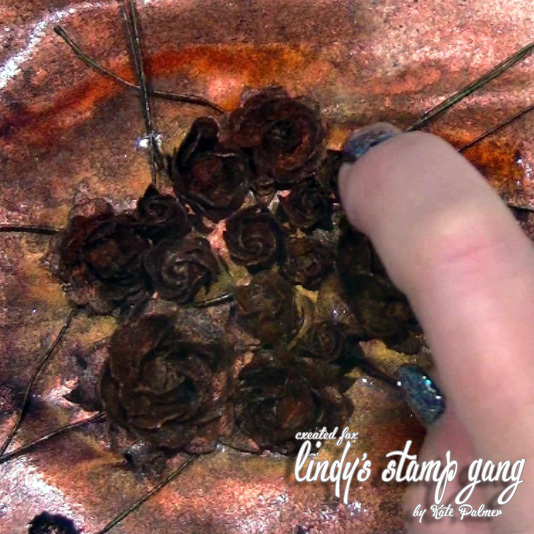 Once dry use your finger tip to add a little metallic wax to the edges of the flower petals, if you don’t have this you could also use glitter or even embossing powder. 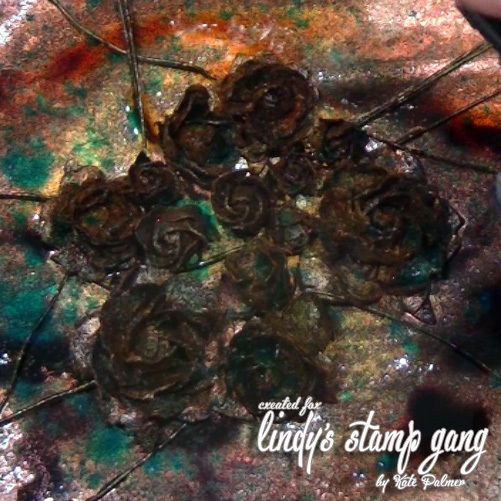 You can watch this whole process on the Lindy’s Stamp Gang YouTube channel. and how do these look on the finished project? Looks fantastic Kate! Can’t wait for you to insert the video! !